A provision to study how rural schools might get more state aid has been included in the Senate budget that was adopted last month. That’s good news for Franklin County’s struggling, small school districts. 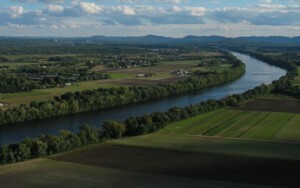 The so-called “sparsity aid” formula was developed and championed by Mohawk Trail Regional School Superintendent Michael Buoniconti as part of an effort to deal with systemic inequities suffered by districts covering large geographic areas that are sparsely settled — which is the case in most parts of Franklin County. The sparsity aid formula being studied would include such criteria as overall enrollment, enrollment per square mile, per capita income of the communities and other factors. The income issue and population density are particularly important in Franklin County, one of the state’s most rural areas and one of the poorest. Also, the county’s schools are experiencing greater enrollment drops than their urban counterparts. The concept of sparsity aid has been pioneered in Wisconsin to help school districts that lack the economies of scale of a larger school district. Last year, Wisconsin allocated $300 per student in sparsity aid to 137 school districts. If Mohawk got $300 per student, that would bring an extra $300,000. Buoniconti’s been advocating a more generous, tiered plan where some schools would get more aid than others. Based on his eligibility criteria, the Rural School Aid Program would cost the state about $20 million, with the money going to 50 traditional rural public school districts. Buoniconti said this represents about 0.32 percent of the state’s $6.2 billion public education budget.